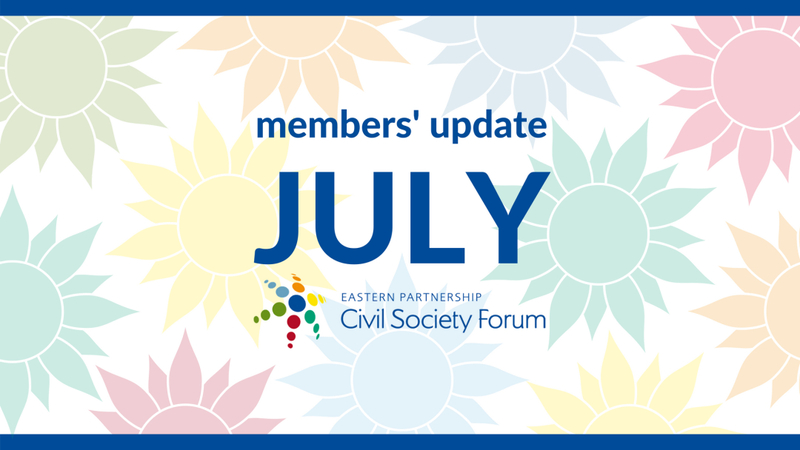 Even though July is behind us, and Summer is in full swing, activity does not stop at Eastern Partnership Civil Society Forum (EaP CSF). 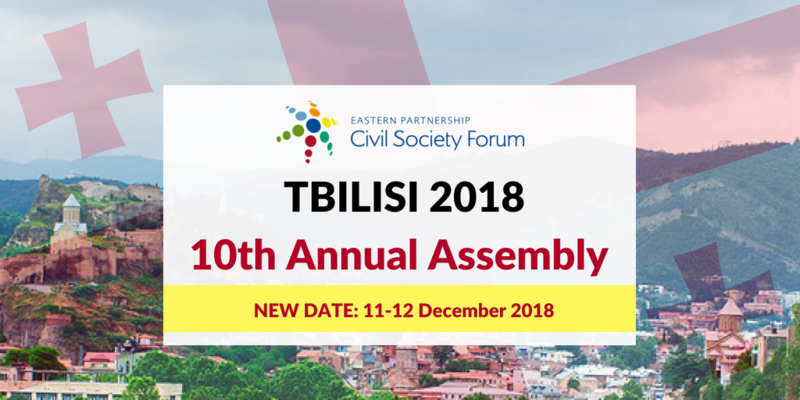 In recent news, the Steering Committee had to change the 10th Annual Assembly dates to 11-12 December (Tbilisi, Georgia) due to scheduling issues – related to the events of the Austrian Presidency, as well as the European Commission's availability. The final delegates' list is due to be made public by the end of August, after it is reviewed by the Commission. 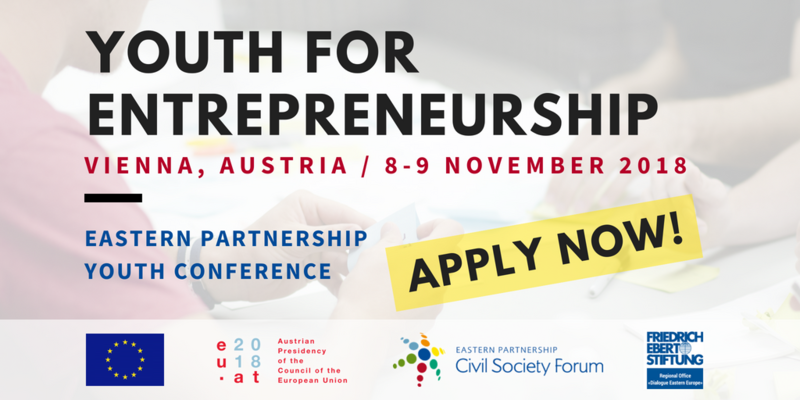 Applications for the EaP Youth Conference 2018: "Youth for Entrepreneurship" (Vienna, Austria, 8-9 November) are still open for participants from EaP countries (deadline: 17 August), as well as the EU, Russia and Turkey (deadline: 1 September). 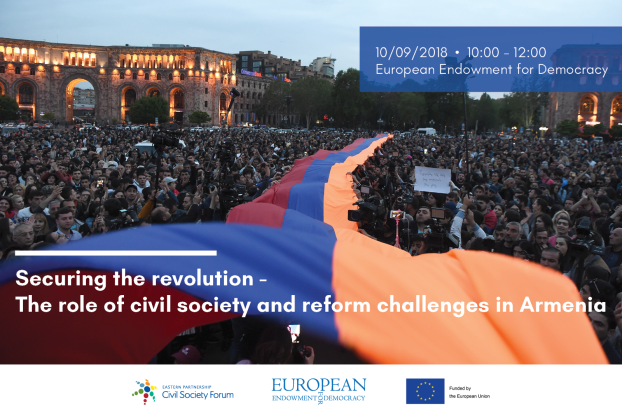 Please save the date for the "Securing the revolution" discussion panel on Armenia (new date: 10 September) at the European Endowment for Democracy (EED)'s Brussels Office. Meeting in Brussels, the Steering Committee, discussed strategy and internal reform, as well as preparations for 10th Annual Assembly. 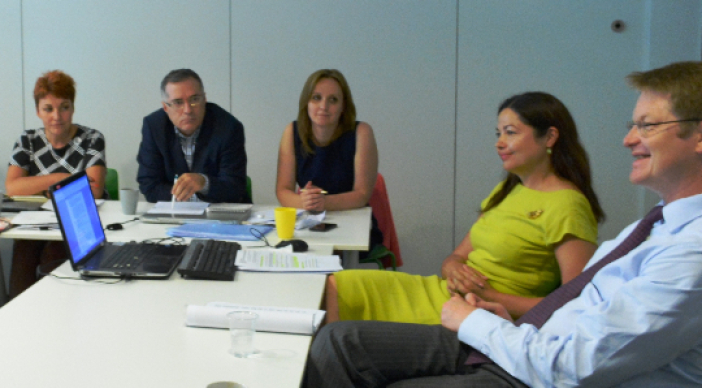 Earlier in the month, Working Group 4 “Contacts between people” (WG4) held the annual meeting to revise their Annual Plans, in line with internal reform. Meanwhile, EaP CSF Georgian National Platform's proposals on the Prosecutor General reform were discussed at the Parliament of Georgia, marking an important step. On the occasion of 5th EU-Belarus Human Rights Dialogue, EaP CSF Belarusian National Platform released a statement on the progress of the Interagency Plan, with cross-cutting recommedations on transparency and civil society. In mid-July, we also saw the Brussels launch of the Disinformation Resilience Index (DRI), which drew attention to media vulnerability of EaP countries. Do you like receiving this new newsletter format? Your opinion is very important to us. 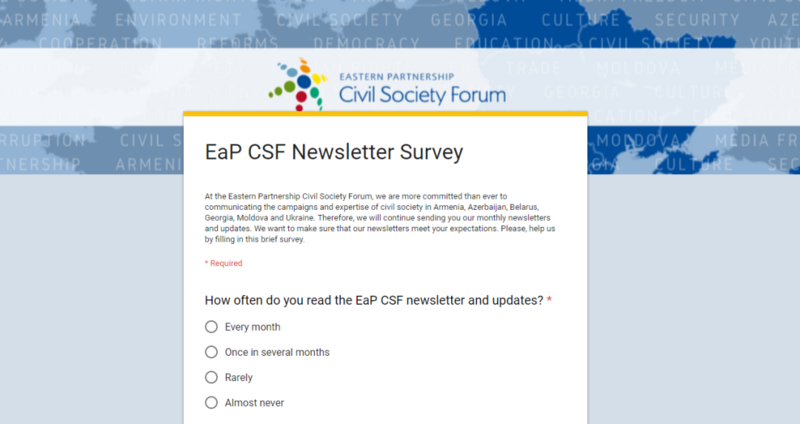 Please click the button or the image below and let us know what you think by filling the EaP CSF Newsletter Survey. The EaP CSF Steering Committee made a decision to change the dates of 10th Annual Assembly to 11-12 December 2018. The new date was agreed on with the European Commission, who raised their concerns about earlier scheduling. Please note that the list of delegates is being reviewed by the Commission, and will be released towards the end of August. The EaP Youth Conference 2018 “Youth for Entrepreneurship” is primarily directed to young people between 18-30 from the EaP countries, as well as the EU, Russia and Turkey. The conference will be held from 8-9 November 2018 in Vienna, Austria with the support of the Austrian Presidency and Friedrich-Ebert-Stiftung (FES). Prospective participants are asked to demonstrate an interest in developing a social enterprise or entrepreneurial idea in their own country. The deadlines for applications are: 17 August for EaP countries, and 1 September for EU, Russia and Turkey. Those coming from Armenia, Azerbaijan, Belarus, Georgia, Moldova and Ukraine will also attend the Social Entrepreneurship School (either in Armenia, 24-30 September or in Ukraine, 1-7 October, depending on the applicant’s country of origin). 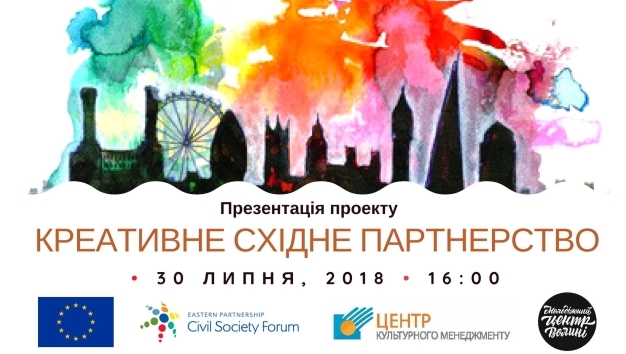 Call for Applications: EaP Youth Conference 2018 "Youth for Entrepreneurship"
On 10 September, EaP CSF and European Endowment for Democracy (EED), will hold a joint panel on Armenia's "Velvet Revolution", focusing on civil society's role and engagement in democratic reforms – especially relating to media, judiciary and the electoral system. While a detailed programme and invitation will follow closer to the date, the panel intends to bring together civil society organisations, activists and policy-makers to discuss some of these recent developments. The event will be hosted at the EED's Brussels office, with live-stream recording. Please note the date change: the panel will now be held on 10 September, and not on 13, as advertised in previous emails. 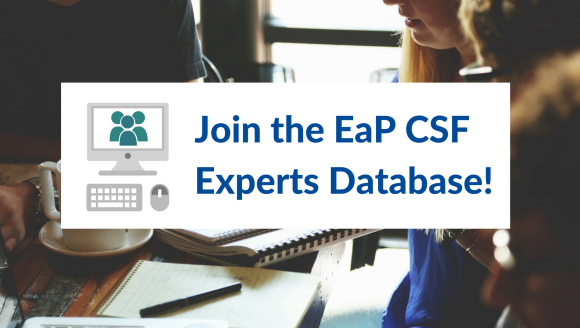 On 17-18 July, the EaP CSF Steering Committee reconvened in Brussels. The main points on the agenda were strategic updates – findings of the recent audit, internal reform and selection of participants for the 10th Annual Assembly. While Sinziana Poiana, DG NEAR opened up the discussion on internal reform, Hanna Jahns, DG NEAR gave an introduction to EaP’s recent developments. On the following day, the Steering Committee was addressed by Lawrence Meredith, DG NEAR and Audrone Perskauskiene, EEAS (pictured, right). The next Steering Committee meeting will take place in Chisinau, Moldova on 3-4 October. 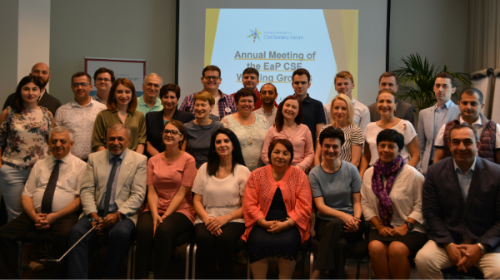 EaP CSF Working Group 4 “Contacts between people” (WG4) gathered in Brussels for their annual meeting on 3-4 July. During the course of the meeting, its members were briefed on internal reform and revised the current WG4 Annual Plans, communication strategies and paid close attention to three projects from the 2018 Regranting Scheme. Participants had a chance to receive training on effective messaging and writing proposals for grants. They were also able to present their messages to the EU stakeholders present in the meeting, Marta Wytrykowska, EEAS and Kamila Partyka, DG EAC. 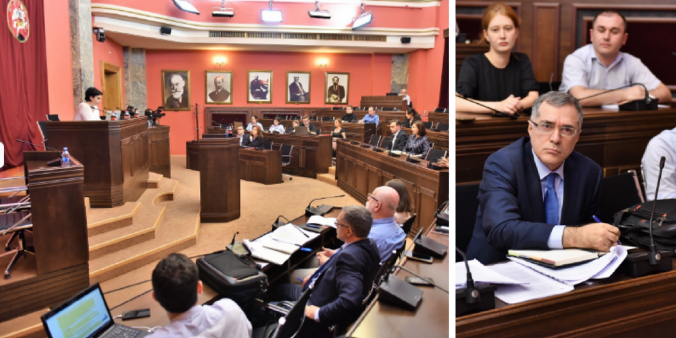 On 23 July, the Working Group of the Georgian Parliament Legal Affairs Committee discussed the legislative amendments put forward by EaP CSF Georgian National Platform EaP CSF (GNP). Many in the EaP CSF GNP believe that a serious reform of the Office is needed to democratise the institution, restore public trust and make it fit for its duties. The debate comes one month after EaP CSF GNP called the Parliament of Georgia to reform the Office of Prosecutor General. 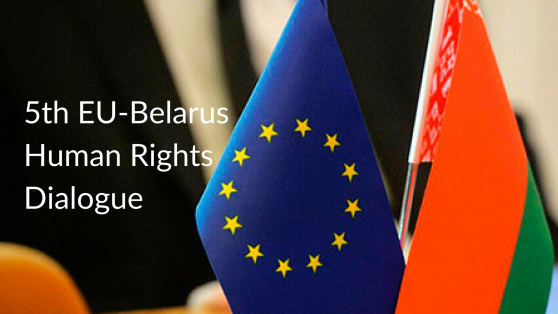 On 17 July, EaP CSF Belarusian National Platform released a statement on the progress of the Interagency Plan on Implementation of Recommendations, in time for 5th round of Human Rights Dialogue between the European Union and Belarus. Belarus accepted the Interagency Plan following the second cycle of the United Nations Human Rights Council Universal Periodic Review, with concrete deliverables for 2016-2019. The National Platform believes that the potential of the Interagency Plan is not fully used – largely due to the absence of civil society organisations in its implementation. On 16 July, the EaP CSF held the Brussels launch event of the Disinformation Resilience Index (DRI). 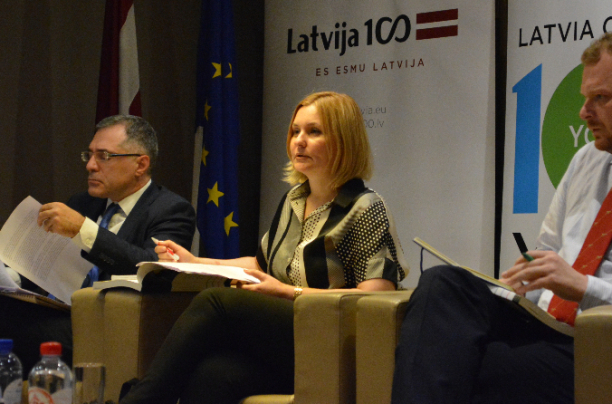 The event was hosted by the Permanent Representation of the Republic of Latvia to the European Union and saw the presentation of DRI results. Opening the event, Ambassador Andzejs Vilumsons praised DRI as “excellent material” for practitioners and policy makers. Speakers looked closely at EaP countries vulnerabilities and preparedness to counter foreign-led disinformation. On the panel, DRI co-author Hennadiy Maksak, was joined by other EaP Steering Committee members, Lasha Tugushi and Ina Coseru, as well as Jakub Kalensky from East StratCom Task Force, EEAS. “Creative Eastern Partnership" (a WG4 2018 Re-granting project) offers advice and assistance for participation in the “Creative Europe” programme for organisations and initiatives working with cultural heritage in Armenia, Belarus, Moldova, and Ukraine. The project plans to assist about 30 organizations from the four countries in finding partners, developing project ideas and assisting with application forms. Apply before 30 November! As of the next MFF, the European Neighbourhood Instrument (ENI), major source of funding of the EU actions in the Eastern neighbourhood, should be merged with other EU external financing instruments into a single instrument titled Neighbourhood, Development, and International Cooperation Instrument (NDICI). 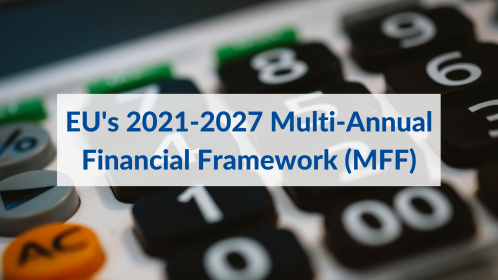 The EaP CSF does not support this proposal since the single instrument could namely take away tools for specific and tailored civil society support. Following our call in June newsletter, please remember that we are accepting positions until 31 August!